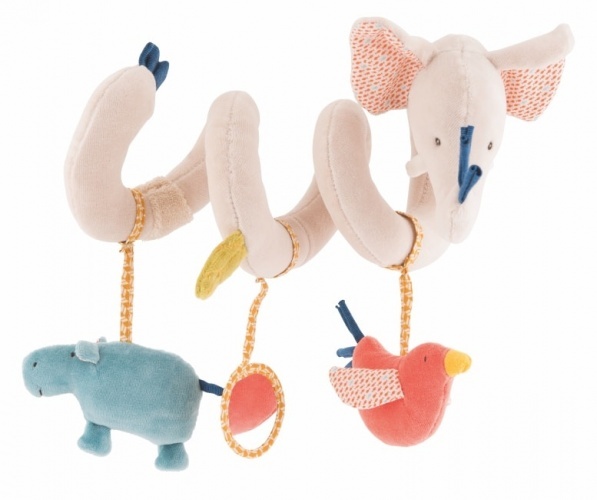 Pretty details and imaginative design make the Moulin Roty activity cloud one of the more delightful baby mobiles on the market. 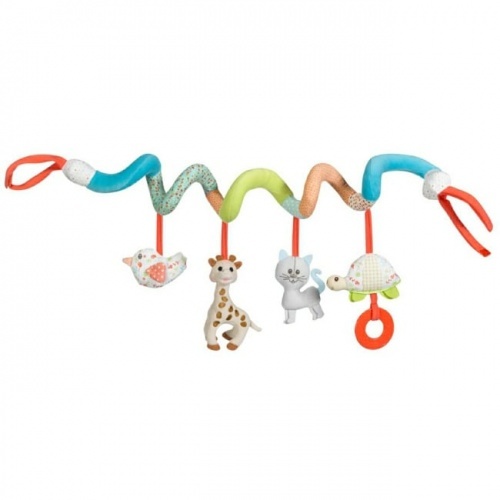 From a sweet, soft little cloud hangs fun characters, including a crinkly mouse for hearing stimulation and a mirror to reflect light and develop your little one’s sight. A handy velcro loop can transform this cloud from a bedtime toy to a travel accessory, simply by attaching it to baby’s pram or carry cot.